You'll never guess who gives them money. Ever since Trump’s victory in the 2016 presidential race, Democrats have been in crisis with the Republican Party in control of majorities in the House, the Senate, the state legislatures, and the governorships—not to mention openings on the Supreme Court. The Democratic establishment had lost touch with the working class, which had been suffering from decades of neglect following the rise of Reaganism on the right and neoliberalism on the left. In an effort to mend those bridges, leaders within the party have pledged to combat the GOP’s agenda and #Resist Trump to preserve the programs relied on by millions of Americans. Thus far Democrats have held up Trump’s cabinet nomination hearings, and some have worked to stymie legislation harmful to the American people. Still, a divide remains within the party between progressives and neoliberals over how best to regroup for the upcoming 2020 presidential election. The former argue that a more robust economic platform and broader vision for change is necessary while the latter see the problem as primarily one of messaging. Senator Cory Booker (D-NJ), representing the neoliberal establishment wing of the party, has one path. This week he broke protocol and testified against Senator Jeff Sessions (R-AL) during his confirmation hearing for Attorney General, despite having previously partnered with him in February to present the Congressional Gold Medal to those who had participated in 1965 march for voting rights from Selma to Montgomery. As The Daily Caller reported, Booker said he felt “blessed and honored” to have the partnership. This is classic Booker—stand out front on feel-good social issues, regardless of his past positions, and align with big money everywhere else. 2023: Heartwarming President Cory Booker personally hugs every citizen before they are fed into the protein processors. Senator Sanders, the champion of progressives, on the other hand, has acted more legislatively than symbolically. Just recently, he proposed an amendment to the 21st Century Century Cures Act to lower drug costs and allow for the import of cheaper drugs from other countries. However, that failed thanks to Republican opposition, and so he tried again, this time attaching a similar amendment to a concurrent budget resolution for the fiscal year of 2017, to allow importing of cheaper prescription drugs from Canada. As a Reddit user, gideonvwainwright, pointed out, that amendment failed despite having the support of 12 Republicans including both Senator Ted Cruz (R-TX) and Senator Rand Paul (R-KY) because of the 'Nay' votes of thirteen Democrats—one of whom was Senator Booker. This is the full list of Democrats who voted no, along with when they are next up for reelection, courtesy of Reddit. Between 2010 and 2016, a handful of the Democratic senators who voted “nay” were amongst the top Senate recipients funded by pharmaceutical companies: Sen. Booker received $267,338; Sen. Patty Murray (D-WA) received $254,649; Robert Casey (D-PA) received $250,730; Michael Bennet (D-CO) received $222,000. 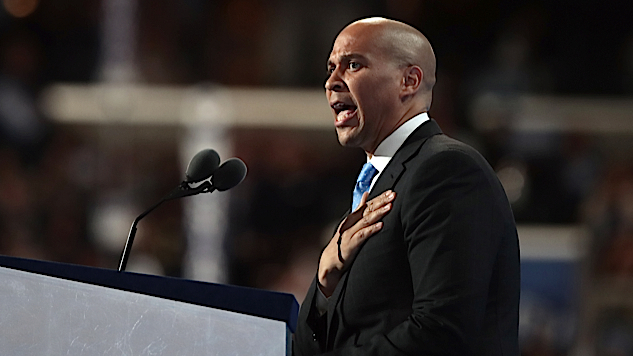 As the former mayor of Newark, Cory Booker faced corruption scandals and increased crime and unemployment levels as his star power outside the state rose. He is heavily favored by Wall Street, with securities and investment firms donating $1.88 million to Booker during the 2014 midterm elections; their second-favorite candidate was Mitch McConnell. With the 2018 election around the corner, and progressives having scored their first sweeping victory at the state level in California, this vote could come back to haunt these Democrats. It is sure to spark more anger from the left, and energize Sanders' movement. As more and more progressives realize the power they have, and join the party, it spells an end for corporate-friendly Democrats. Booker especially, should take notice. Many believe he will run in 2020 given his efforts to echo President Barack Obama when he speaks. Like Clinton, he lacks Obama's natural charisma, and is already a close ally of Wall Street. It is doubtful that doubling down against progressivism will play well in four years—either against Trump or against a primary challenger. Update: OpenSecrets has slightly different numbers from the dollar figures provided by Jezebel. Between 2013 and 2016, Cory Booker received $442,678 from the pharmaceuticals industry; Patty Murray received $670,944; Robert Casey received $577,079; Michael Bennett received $652,417. What he fails to mention is that Canada’s drug approval process is similar to our own in that it first requires various animal testing, and then rounds of clinical trials before a drug can enter circulation. What differences there are hardly seem to matter given that Canada’s average life expectancy is two years longer than the United States’ according to the World Bank. In addition, the word “safe” already appears in the Sanders amendment when related to the importation of drugs. This excuse seems like a cynical effort to divert responsibility for a bad call.